The bombs have gone off! Casualties are coming in from around the ship. Your crewmates need emergency medical attention, and there's only so much time to perform vital triage before they Flatline. Welcome to Flatline, the sequel to FUSE. Also a real time game of dice-rolling, Flatline ups the complexity and co-operation while also dialing back the tension. Over the course of several 1-minute rounds, players must save lives, dodge explosions, and deal with the crises brought about by the attack on your spaceship. 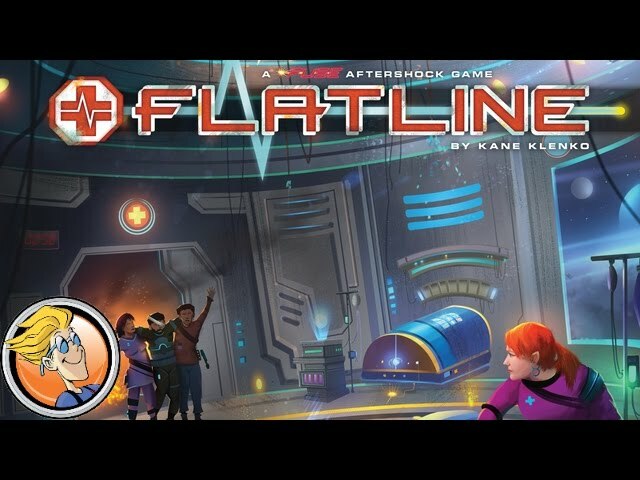 Buy Flatline: A FUSE Aftershock Game for a medium-weight co-operative board game of real time tension and decision-making.